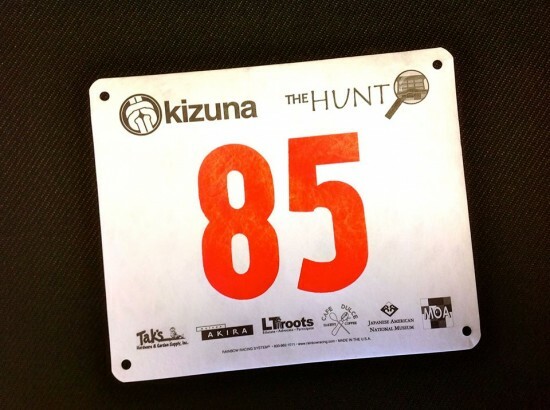 On Saturday, November 9, 2013, Kizuna will be hosting the 2nd Annual, The Hunt! It will be a giant scavenger hunt that will take place in and around downtown Los Angeles’ Little Tokyo community. Teams will be led on an adventure to solve clues, interact with local businesses, learn about historical sites, and do numerous challenges that could range anywhere from eating mochi, to identifying pizza ingredients, to finding a hidden temple, etc! Festivities will begin at Centenary United Methodist Church, starting at 2pm, inside an air-conditioned auditorium (just incase it turns out to be the hottest day of the year again..). Want to participate but not have to run as hard?? Well we’ve created a new division just for you! There will be two division levels to participate in this year! There will be Competitive division for teams of 4-5 people, who want to go “all out,” as well as a Friendly division for teams of 4-8 people, who want to take their time. Like last year, there will be a $500 grand prize to the winning team of the Competitive division!